Those who have migrated a site before probably know that moving from one server to another -especially when you have a large database- is real headache. It’s not written or told anywhere prior to starting a website, but to choose the right WordPress hosting company to work with is one of those key decisions. Quality content one thing, but no matter how good your content is, the speed and reliability of your server as well determines whether or not if you are going to have returning visits. When an application is open source and widely being used, it’s expected to have security releases. WordPress has made it easy for end users to update their software with one-click through admin panel but what if something goes wrong during the process. That is where Managed WordPress comes to rescue of those who wants to worry only about their content and leave technical part to techy people. Nowadays you will see a lot of companies around ready to provide support for WordPress. But back in time there were only a few of them and WP Engine is one of first companies in the market that has been around and concentrated on WordPress hosting only. Below, is an interview that we had with WP Engine to shed some light for those who are interested don’t yet know the company. 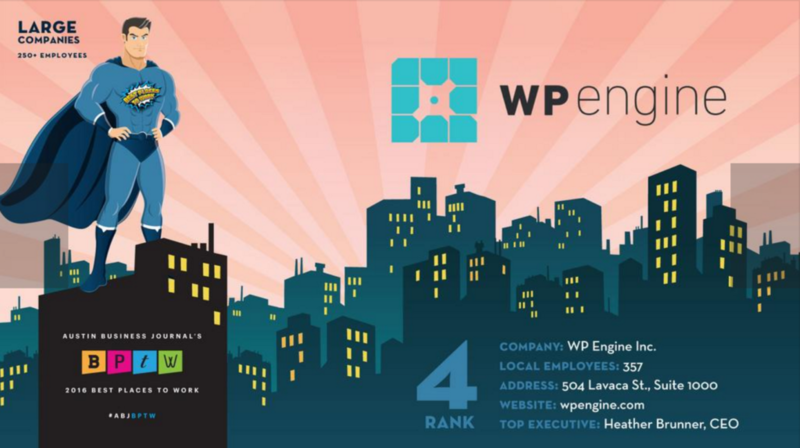 Founded in 2010, WP Engine is headquartered in Austin, Texas, and has offices in San Francisco, California; San Antonio, Texas; London, England; and Limerick, Ireland. Q. Q. How are package upgrades handled? We do patching and updates regularly throughout the week and this is all transparent to the customer as there is no negative impact to their sites. Q. What are discounts for paying ahead? Customers receive 2 months free for pre-paying for an annual subscription. Q. Are there excess bandwidth charges? We do not currently charge for excessive bandwidth, instead we work with customers to understand what’s going on with their site and recommend best practices. Q. Is the tech department available 24/7? Yes, by phone, chat, and ticket. Q. How do you handle site security? Security is an important and broad topic. Here is a link to a page explaining our processes regarding security, as well as answers to specific security questions in greater detail can be found here. We investigate all Spam Complaints quickly and thoroughly and do not tolerate Spam on our platform. Q. How many customers are on each server? There is no specific number because all sites are not created equal, it’s a science, not a rule when running our shared platform. Q. Do you offer support for scripts installed through the control panel? There is no way to install a script through our control panel. Customers can use Git or SFTP but we do not provide technical support for custom code. Q. What is your average monthly uptime & backup frequency? We backup daily. Everyday. And on average a customer has 100% uptime in any given month. Q. Do you offer a money-back guarantee? Yes, 60 day money-back guarantee. Q. What makes you the best choice? WP Engine is the world’s leading WordPress digital experience platform that gives enterprises and agencies the agility, performance, intelligence and integrations they need to drive their business forward faster. WP Engine‘s combination of tech innovation and an award-winning team of WordPress experts trusted by over 60,000 companies across over 140 countries to provide counsel and support helps brands create world-class digital experiences. Follow us and stay up to date with most recent news, updates and campaigns.